On Thursday, Senate Minority Leader Chuck Schumer (D-NY) said that Democrats plan to introduce a motion to stop measures initiated by President Donald Trump’s national emergency on the southern border. 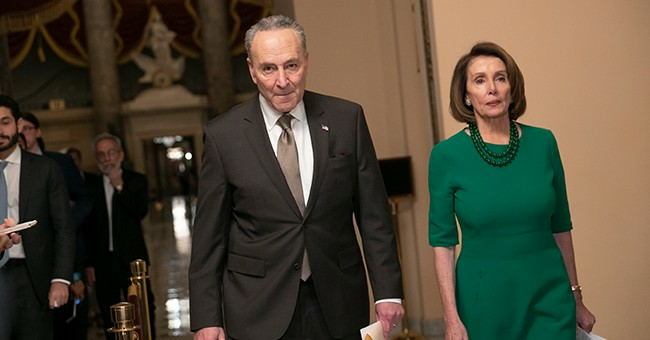 Both Schumer and House Speaker Nancy Pelosi (D-CA) have gone on record saying that they consider the national emergency declaration unconstitutional. According to Politico, “The Senate Democrats' resolution of disapproval comes as House Democrats plan to introduce a similar resolution disapproving of Trump's emergency declaration Friday.” Votes for the House resolution will likely begin in mid-March, but the San Diego Union-Tribune said that they could happen as early as next week. The Democrat-controlled House will probably be able to pass both resolutions, but the Senate could be a roadblock for the party. Senate Majority Leader Mitch McConnell (R-KY) has expressed support for the president’s emergency declaration, but senators like Susan Collins (R-Maine) said she would vote for resolutions to block Trump’s declaration. Politico said that four Republican Senators are needed to pass the resolutions. The Tribune doubts that, even if Congress succeeds, they will have the two-thirds majority to override a veto from Trump.